Drew from Drew’s Movie Reviews and I announced the Ultimate 70s Blogathon last week. If you missed our announcement post, you can find all the details right HERE. Its a simple concept to choose your favorite 70’s movie in short. I’d love to send out a reminder that Ultimate 70’s blogathon kicks off on February 12th and the deadline for posts to be submitted to us is on February 4th. If you are interested in joining, send us an email to tell us what movie you choose to do or tell us in the comments whether you’d like to join in so we can plan. If you need an extension, that is always an option. We are pretty flexible about it as long as we know in advance and can plan accordingly. 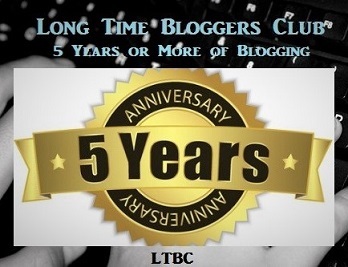 Again, please submit your reviews to us by email as we post them alternately on both our blogs. You can reach us at kim.tranquildreams@gmail.com and drewt510@gmail.com. If you know anyone that would like to join, pass on the message. The more the merrier! Thanks and we look forward to receiving your reviews! Have you all recovered from Superbowl excitement or disappointment depending on who you were cheering for? I’m here to remind everyone that there is 1 MORE WEEK till the due date of the Ultimate 90s Blogathon reviews to us. If you haven’t signed up, you are still welcome to join us. The more the merrier! For all the information, you can find it HERE on our announcement post. In short, its all about your favorite 90s movies or what 90s movies made the decade for you memorable or symbolizes the decade the best. You can chime in on your participation in the comments but send us your 90s choice by email so that it’ll stay a surprise until the review goes up. The due date for the reviews to be sent to us is February 13th. However, we do know that everyone is busy so if you do need an extension, just email us. 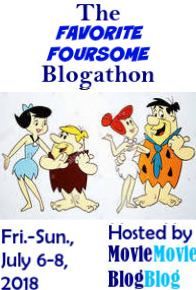 The blogathon officially starts on February 20th. If you’d like to participate or have a review for us or any other questions, email me at kim.tranquildreams@gmail.com or Drew at drewt510@gmail.com . Its a little crazy to think that almost a month ago, Drew (Drew’s Movie Reviews) and I announced the Ultimate 80s Blogathon! There’s one more week left till submissions are due on February 8th! Just a little friendly reminder! If you know anyone that is interested in joining in, pass on the message or if you just dropped by and would like to join, there’s still time. All the info can be found right HERE! If you have any questions, just leave us a comment or drop us an email. A friendly reminder for the upcoming Ultimate 80s Blogathon! If you’d like to participate, its not too late! Hey there, dear readers! Just a friendly reminder that submissions for the Ultimate 80s Blogathon, hosted by Kim and myself, are due in two weeks, by February 8th. There is still plenty of time if you still want to join in. Check out this post for all the information. Submissions can be emailed to Kim at kim.tranquildreams@gmail.com and to me at drewt510@gmail.com.